Most of the over 80 UK credit cards available today can be used as a cash advance credit card. A credit card cash advance is most common when a customer uses their credit card in a cash machine, or ATM, to withdraw money. Some credit card companies will also treat gambling or betting transactions as a cash advance. Others, treat the purchase of foreign currency or travellers cheques using a credit card as a cash advance as well. A cash advance on a credit card is often too easy to do. You simply stick your credit card in a cash machine and enter your PIN. However before you do that, you need to be very aware of just how expensive that type of transaction could be. Using any cash advance credit card to make a cash withdrawal from a cash machine will lead to fees and interest charges. These apply as soon as you take the money out of the cash machine. Unlike with a normal purchase made using your credit card, there is no interest free period on a cash withdrawal. Interest will be charged from the day you take the money out of the machine until the amount is repaid in full. Cash advance interest rates are often much higher than the typical credit card rate, which is typically around 18.9% APR variable. Almost all UK credit cards charge a fee when cash advance credit cards are used to make a cash withdrawal from a cash machine. With the above expensive fees and high interest rates on cash withdrawals, the best cash advance credit cards are actually those credit cards that allow customers to make 0% money transfers. A money transfer credit card is a credit card that allows a customers to transfer money from the credit card directly into their bank account. Many of the UK credit cards that did allow 0% money transfers to be made have now been withdrawn from the market. There are still a few cards available. However these credit cards will typically charge a fee of up to 4%, for each money transfer. For many customers a balance transfer credit card may offer a better choice. The customer can transfer the balance from an existing credit card and pay no interest on the amount transferred during the offer period. So, in summary a cash advance credit card is when a customers uses a credit card to make a cash withdrawal using the card. Gaming or betting transactions, and using the card to purchase foreign currency can also be treated as cash advances. 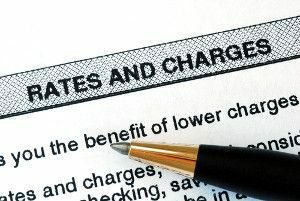 When such a transaction is made fees and interest will be charged as soon as the transaction is made. « « Credit Card Application How Long?